The history of Topper’s Pizza dates back more than 100 years, to when Co-CEO s Kelly and Keith Toppazzini’s great grandfather Giuseppe Toppazzini immigrated from San Daniele, Italy to Canada. As part of his journey, Giuseppe brought his family’s secret Italian bread recipe, which has been passed down for four generations – the foundation of the brand’s success. The fourth generation of the Toppazzini family has continued to use the original bread crust recipe, now known as Authentic ItalianBread™, as a staple for unique recipes and specialty pizzas. 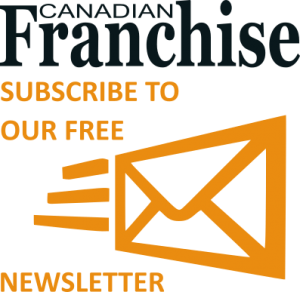 The resulting success has made the brand one of the most popular pizzerias in Canada and a premiere franchising option for entrepreneurs across the country. Topper’s Pizza has plans to add new locations in key markets throughout Ontario under an ambitious expansion plan that will increase the amount of pizzerias from 37 to 140 by 2018. The first phase of growth included a brand new location for Topper’s Pizza in Lively, Ontario and a signed threepizzeria deal in the Richmond Hill area. Additional plans include pizzerias in prime growth markets like Ottawa, Kitchener, London and Mississauga. After expansion throughout Ontario, Topper’s will continue to grow the brand, targeting the Western provinces of Canada. The initiative will be the largest expansion in the company’s history. The recent hires of veteran franchising executive Jeff Dillon to serve as Executive Vice President of Topper’s Pizza, overseeing daily operations and strategic growth initiatives, and former A&W and Boston Pizza developer Andrew Diveky as the company’s new Director of Franchise Development, have proven to be extremely beneficial. 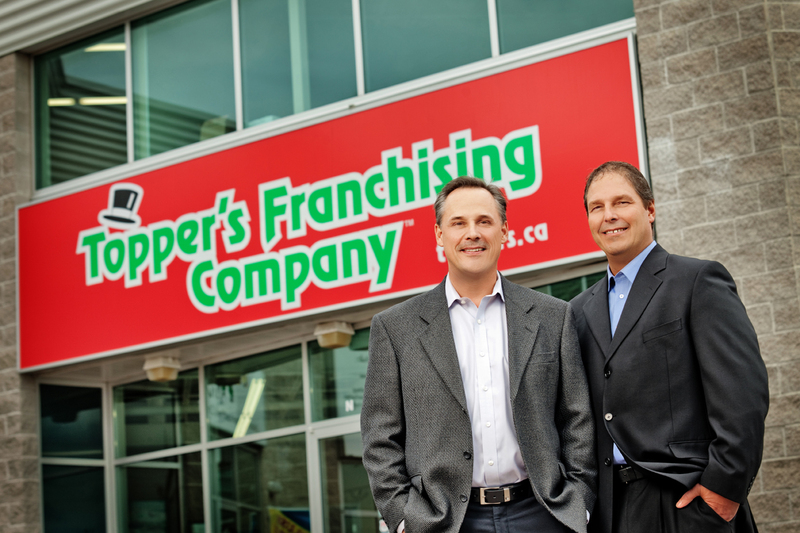 With their development expertise, Topper’s has become a force in the franchising community. “Jeff and Andrew are consummate professionals with successful track records. Together, they have developed a carefully crafted growth plan that will continue to yield impressive results,” Topper’s Pizza Co-CEO Keith Toppazzini said in a news release announcing the expansion. According to Kelly Toppazzini, Co- CEO of Topper’s Pizza, the company is seeking experienced franchisees that are prepared to open and operate multiple locations. The expansion will also create critical economic growth in the communities Topper’s serves, he added. Topper’s Pizza was built on the tradition of taking care of family first, and this includes guests of its pizzerias, franchisees and employees. With a strong tradition of growth from within, Topper’s recently welcomed one of their newest owners, Lalit Kainth, who climbed the ranks in the company and made the transition from manager to owner. Kainth, originally from India, has been in the restaurant industry since 1998 and is no stranger to the pizza sector. In 2002, he came to Canada to begin his pizza adventure as a manager for a different brand. After managing for a few years, he moved to Toronto, where he owned two pizza restaurants that he later sold. Moving on to work as a manager for Topper’s Pizza in Oakville and after seeing great success at this location, Kainth developed a great passion for the brand and purchased a Topper’s Pizza location in Georgetown, Ontario. “Through these initiatives, Topper’s Pizza is opening the door to entrepreneurship for countless individuals. This strategy will generate more than 1,000 jobs, and we are very excited to put people to work across Canada,” Kelly Toppazzini said. Founded in 1982, Topper’s Pizza is one of Canada’s most popular pizza brands. The company began franchising in 1992. Topper’s Pizza currently has 37 pizzerias throughout Ontario. The recipe for Topper’s success includes quality ingredients, an unbeatable crust, a proven system and first-class Franchise Partners. As a result, Topper’s Pizza amazes its customers.